From Paris to New York and from Buenos Aires to Beijing, making light of time zones is now simple and sleek with the slender elegance of the palladium case gracing the new Slim d’Hermès GMT. Made from palladium, a rare and light platinum-group metal, the Slim d’Hermès GMT is an ideal companion for today’s globetrotter with its ultra-thin 9.48mm case. 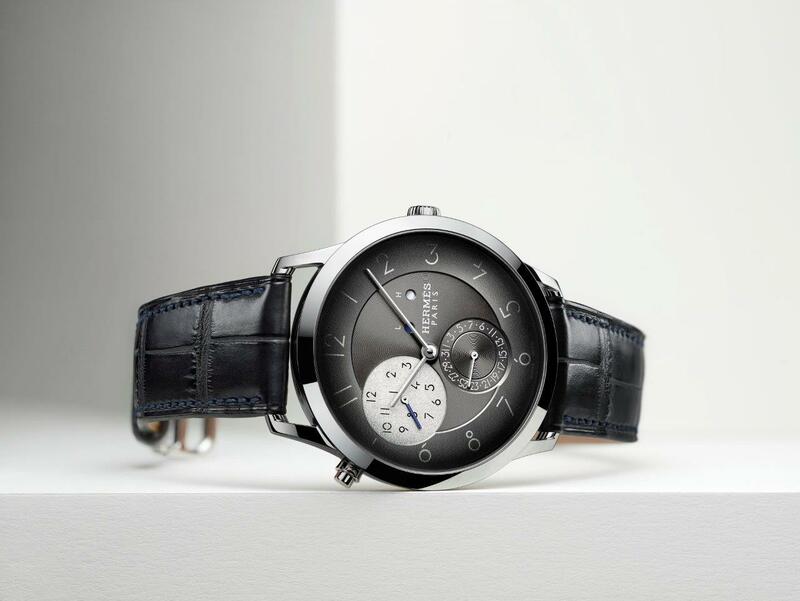 The broad slate grey dial with its distinctive font of slim numerals with spaces between them, is adorned with subtle finishing. A sunburst chapter ring, guilloché centre and date counter, along with a silver-toned GMT counter studded with numerals punctuate this perfectly legible Manufacture dial swept over by slender sandblasted and blue lacquered baton-type hands. 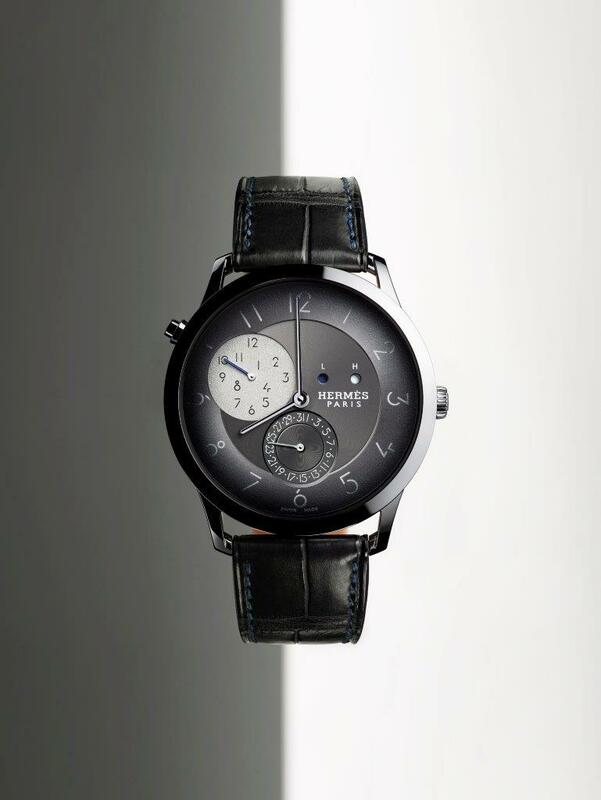 In the Slim d’Hermès GMT is the ultra-thin Manufacture Hermès H1950 movement measuring just 2.6mm thick, combined with the 1.4mm of the ultra-thin GMT module exclusively developed by Agenhor for Hermès. In addition to the hours, minutes and date function, this mechanical self-winding composition equipped with a microrotor drives a dual-time reading complete with two day/night indicators for home time and travel time. The time in a given destination is simply adjusted via a dedicated pushbutton. 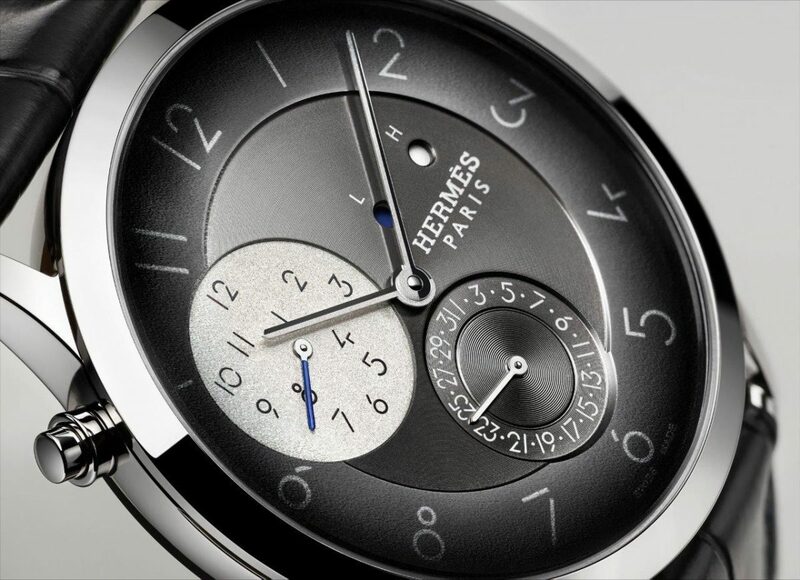 The movement bridges, handchamfered and adorned with the ‘sprinkling of Hs’ motif, along with those of the module featuring Côtes de Genève and circular-graining, can be admired through the sapphire crystal case-back. 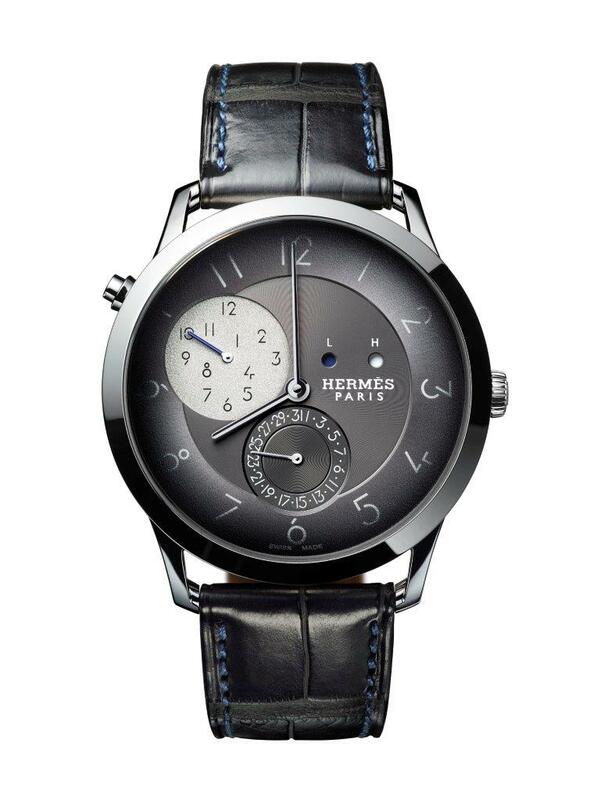 The Slim d’Hermès GMT comes with matt graphite alligator strap, without a doubt, crafted from Hermès leather workshops. Edited: 15 March 2018. Changed Mumbai for Beijing in opening paragraph. Details see reply to comment below.